WHAT DOES COI MEAN ? COI stands for Coefficient Of Inbreeding and is the calculation used to determine the level of inbreeding on an idividual dog or puppy. The higher the number for COI the closer the dog or puppy was inbred. on both sides of the pedigree and will match up to cause the actual genetic disease or defect in the animal. IF and only IF there are health problems in the lines to begin with. A COI of 12.5% is equivalent to a half brother to half sister mating or a grandparent to grandchild mating. This breeding is the most common practice for breeders wishing to achieve consistency in type or to "cement" certain traits. As a result the litter should be fairly uniform in type and temperament which is the goal for anyone breeding for Type/showing. BEST breedings to achieve PERFECTION. and not as just a number that dictates if a breeding is a good or a bad one. or her "AM/CAN CH Wycliffe Michael" whose 10 generation COI of 93.32% and who was heavily used in siring over 33 litters at least. such as Torbec Eclipse of the Sun, who lived to be 15 years of age. A COI of 25% is equivalent to a parent-child or brother to sister mating. This type of breeding is really not recommended by anyone. It is a very "tight" breeding and is usually referred to as "inbreeding". for the desired breed type, OR the opposite and look poorly and be very skiddish, hyper, aggressive, unhealthy pups as a result. So this breeding will either produce the best or the worst traits of their parents. Ideally, the COI of a litter should not exceed the average COI of the two parents. It is highly recommended to avoid a COI in excess of 20%. e.g. for dentition, coat colour or disease. Barring random mutation, 100% of the offspring of a homozygous individual will inherit that gene. Inbreeding increases homozygosity by "Cementing" a particular trait good or bad gene. Knowledgeable breeders want good qualities "cemented" and to breed away from bad qualities. Health testing through established DNA tests helps us breeders produce Prepotent individuals with good qualities cemented. Purebred animals display a high degree of homozygosity compared to mixed breeds and random-bred animals. the offspring will have uniform characteristics and will resemble the parents. I get asked all the time how we achieve reds that hold their colour. In order to achieve dark red colour a breeder has to start with the dark red colour. You can't take two light coloured dogs and achieve dark red colour that is going to hold. UNLESS it is a linebreeding on dark red ancestor which will usually be a Majestic dog or VERY old Palmares Lines. Which will mean a COI of 6% or greater on the litter. Line breeding on a dark red Poodle ancestor will "bring forth" that dark red gene. Until more breeders stop using fading reds, apricot and creams in their red programs. Buyers will find that the only "real" dark reds they can find as of 2010 will have a 10-generation COI of 6% and up. we can acheive colour from outcross breedings like breeders are doing with the more common colours. Red breeders need to concentrate on health testing of course...but also on colour breeding. and are exceptionally healthy, completing all OFA health testing and DNA testing available. COI is a great "tool" to assist breeders, but breeders CAN'T ignore genetics and expect to get results. Inbreeding depression symptoms are seen as the loss of viability or function resulting from excess inbreeding. Sometimes these syptoms are very subtle and gradual and are often blamed on diet, pollution and other environmental factors. While these factors may also contribute, it is the dogs genes that make it more susceptible. on any planned litter. Keeping the breed healthy is easier than cleaning it up after the fact. 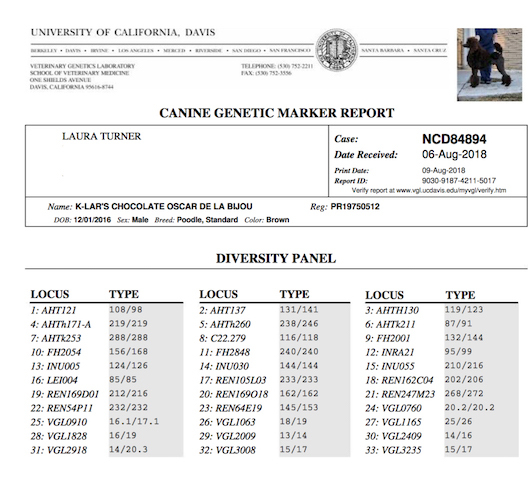 COI calculation can give the breeder an indication of how inbred a dog or litter will be. 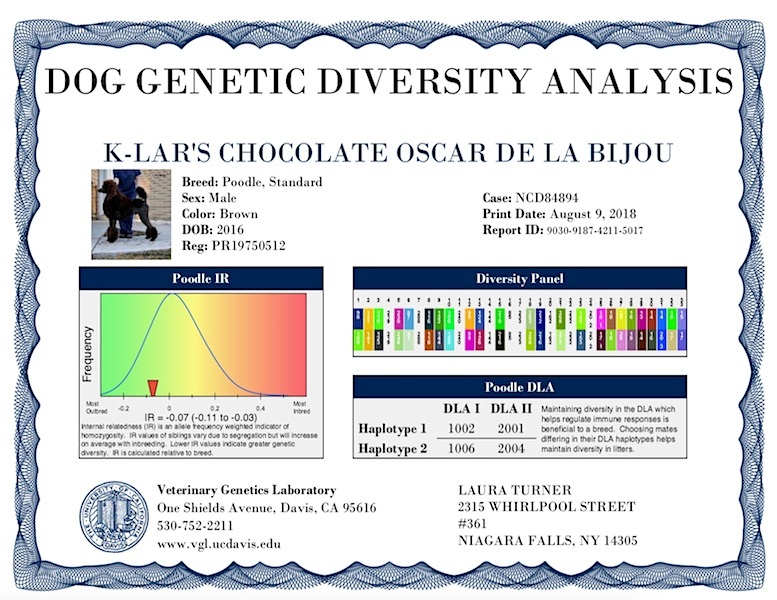 Knowing this percentage will enable you to make the best choices towards reducing inbreeding in your dogs. Today the emphasis should be put on health, temperament and working ability if purebred dogs are going to survive into the next hundred years. Active concern for health should be your number one breeding goal, because without health, you have no dog. Great article on Breed Diversity by Jerold S. Bell, D.V.M. a breeder can then acquire mate pairing statistics through the BetterBred application.